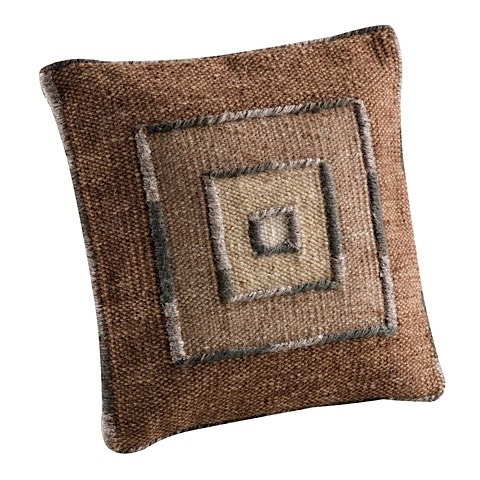 Gorgeous muted earth tones give the Ermanno accent pillow a charm all its own. 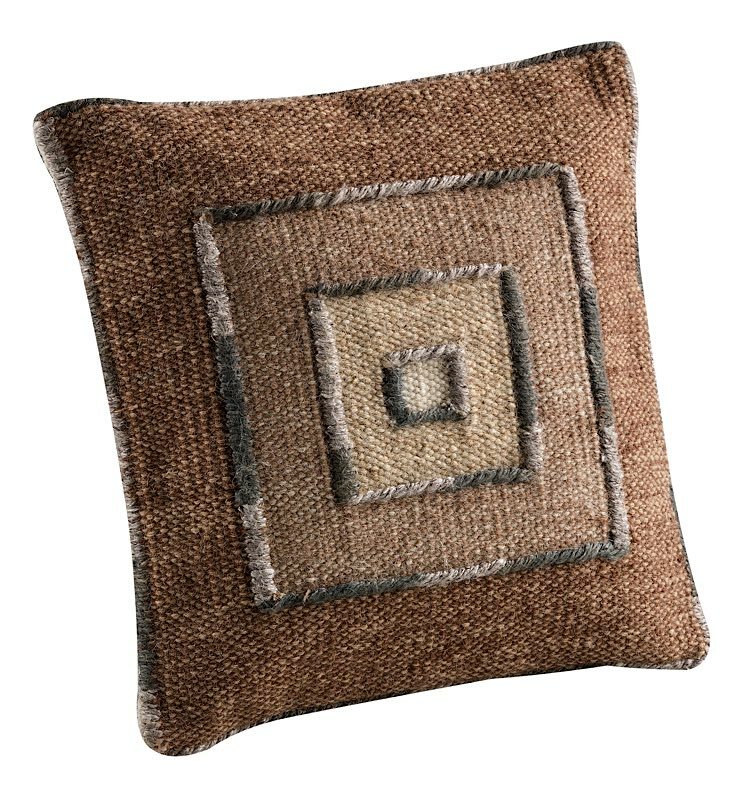 A contemporary styled, hand-woven pillow with a layered symmetrical motif that captures the eye and beautifully accents the sofa or chair that you set it in. Several sizing options can be ordered, the Ermanno is a wonderful addition to your transitional abode.